The Huawei Watch is still one of the nicest Android Wear smartwatches you can get, despite the Huawei Watch 2 and Watch 2 Classic. Even so, the first Huawei Watch is still waiting to get the Android Wear 2.0 update. 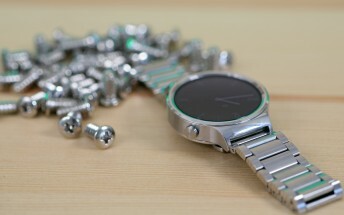 The great news is the update should be hitting Huawei’s first Android Wear device by the end of March, according to Huawei Deutschland. This comes as an OG Watch customer inquired about the update on Twitter. The reply from Huawei DE happened several days ago already. Because of a language barrier, this kind of news usually takes longer to cross before English blogs start picking it up. The Android Wear 2.0 updated will bring a redesigned UI, optimized performance, Google Assistant, customizable watchfaces with Android Wear’s “complications”, and best of all, the update will enable the dormant NFC radio found in the Huawei Watch so it may be used for Android Pay.